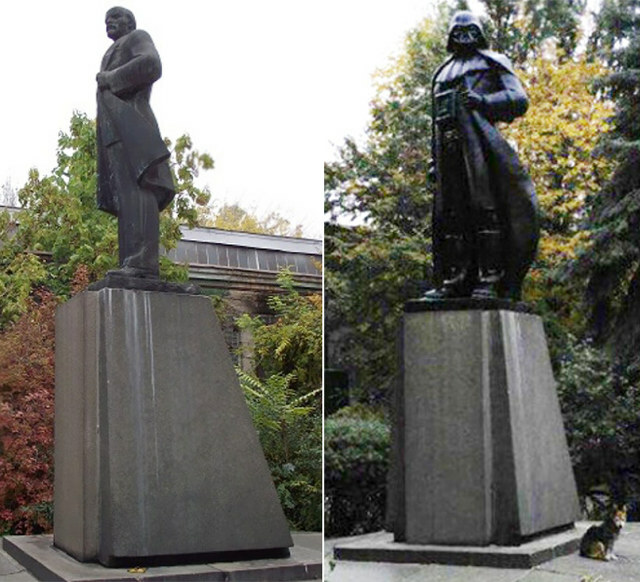 As part of the “decommunization” of the Ukraine by president Petro Poroshenko, a statue of Lenin in Odessa has been turned into a statue of Darth Vader by sculptor Alexander Milov. The statue also serves as a wifi hotspot. 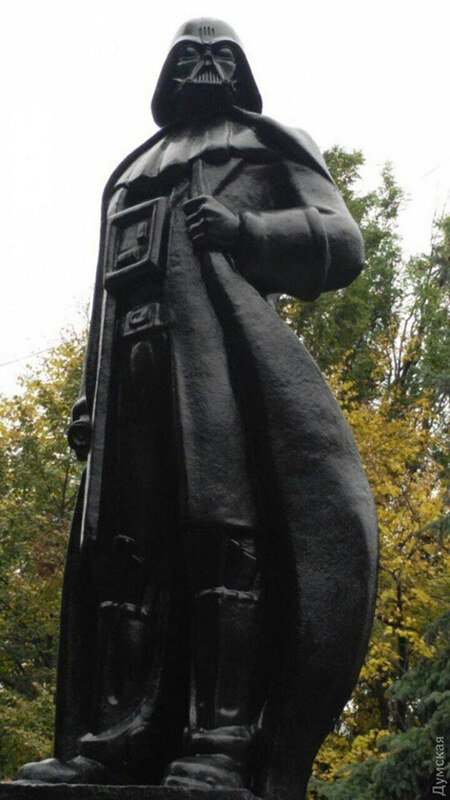 “The Bronze Lenin was left inside, so that the grateful or not so grateful descendants could exhume him, if needed,” Milov said. Man, this is so great because I’ve got this old statue of Lenin lying around and I’ve been totally wondering what to do with it.